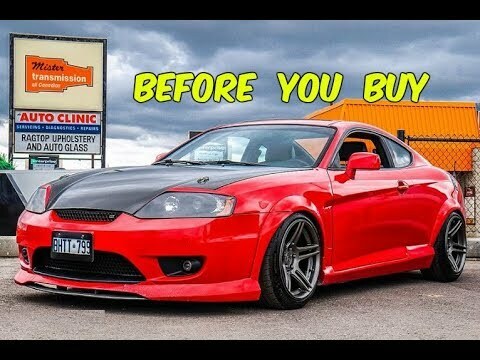 Tiburon review: advantages and disadvantages of the Hyundai Tiburon. I love my car itself. However, it is 13 years old and I have had to pay a lot of money in upkeep. For the most part, it has been reliable, but there have been times I have had to fork over large amounts of money to get it fixed. Because of how old the vehicle is and that there are not many of this kind made today, it can be difficult to find the parts I need to replace. Other than that, the car is comfortable and cute. I like the look of the vehicle and it has served me well overall. Making it, has really held it down for me. Needs new brakes and spark plugs, body is a little tainted but it runs great and does not have a hard time starting or running. Just put new tires on the car still has good tread. Headlights are a little dull. Inside leather is still in great condition. Looks like a Lincoln, decent car. There's nothing really wrong with it except no ac. Interior is leather in great condition. It is s 4 door sedan. High mileage. Body paint is a little worn but no body damage. Brakes need to be changed. Oil was just changed. Has a new radio system in it.